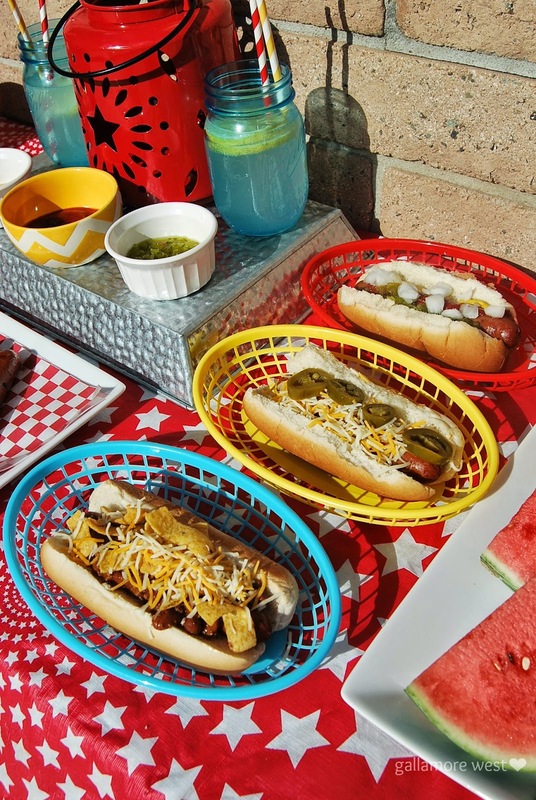 With summer just around the corner it's time to find some great new items and easy dishes for grilling outside on the gas grill. Grilling is my favorite for summertime dinners because it's so easy, it makes everything extra flavorful, and it doesn't heat up our house. 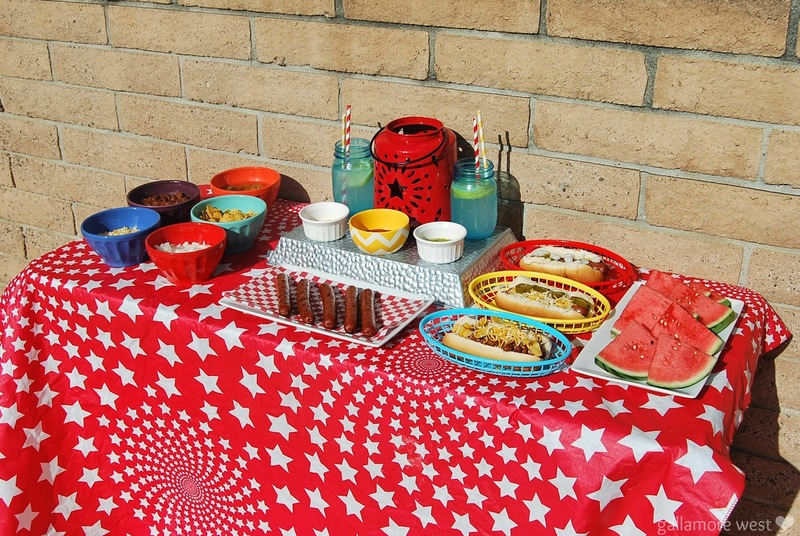 So when my boys and I saw these new Parks Finest Frankfurters from Ball Park at Vons the other day, we bought a couple packages and had a backyard Hot Dog Party by the pool! 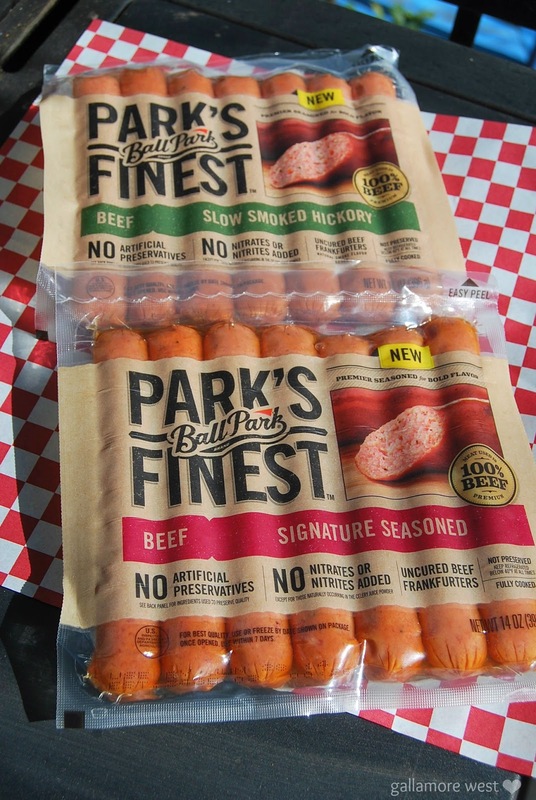 What caught my eye about Parks Finest Frankfurters by Ball Park is that they're made with beef, they are nitrate free, and they have no preservatives added. All of those things are very important for me when choosing food for my family, plus they come in four great varieties- Signature Seasoned, Slow Smoked Hickory, Cracked Dijon Mustard, and Smokehouse BBQ Seasoned. 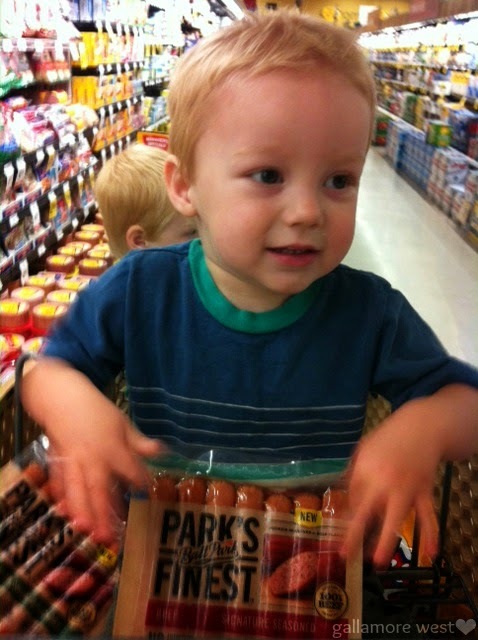 So grab your coupon to get Parks Finest Frankfurters by Ball Park from Vons here and #StartYourGrill! You'll find them in the hot dog aisle at Vons. 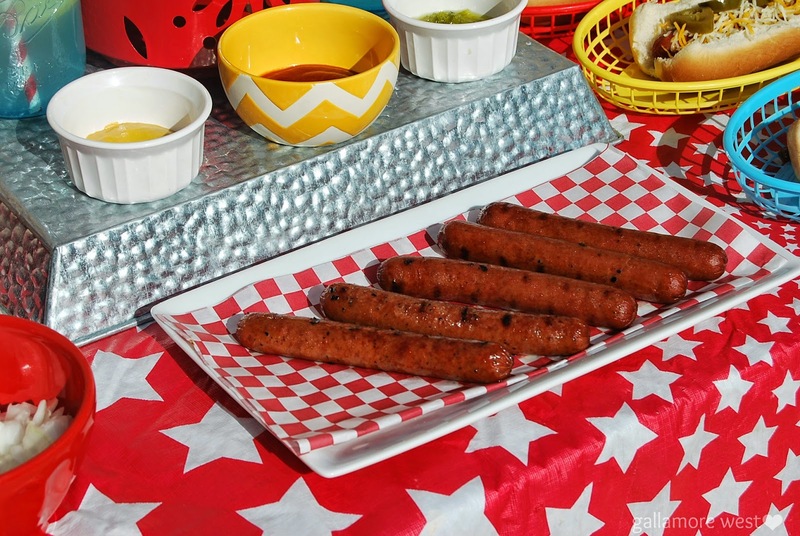 These aren't just plain old hot dogs. They are full of flavor- enough for adults to appreciate, but not too much that kids turn up their noses either. All four of our boys gobbled them right up! I love to make dinner fun but still easy during summer so one thing I love to do is take our dinner outside by the pool. With plenty of toppings, it was fun to see what creations everyone came up with. 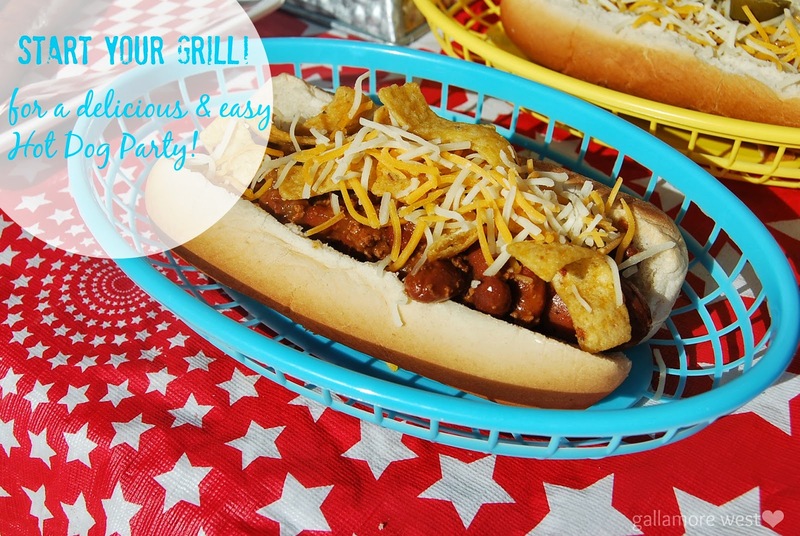 There were the ever popular chili dogs, some even topped with corn chips. There was an original dog, topped with ketchup, mustard, relish, and diced onions. And I like to keep things spicy with a cheese and jalapeno dog myself. 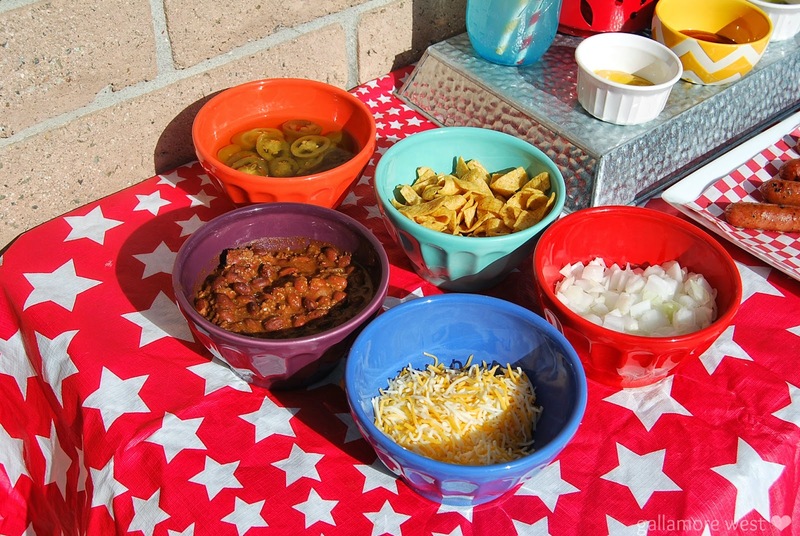 I love serving dinner in our little bright colored plastic baskets because they make for quick and easy cleanup. Our boys like them because they think it makes eating at home feel like eating at a restaurant. 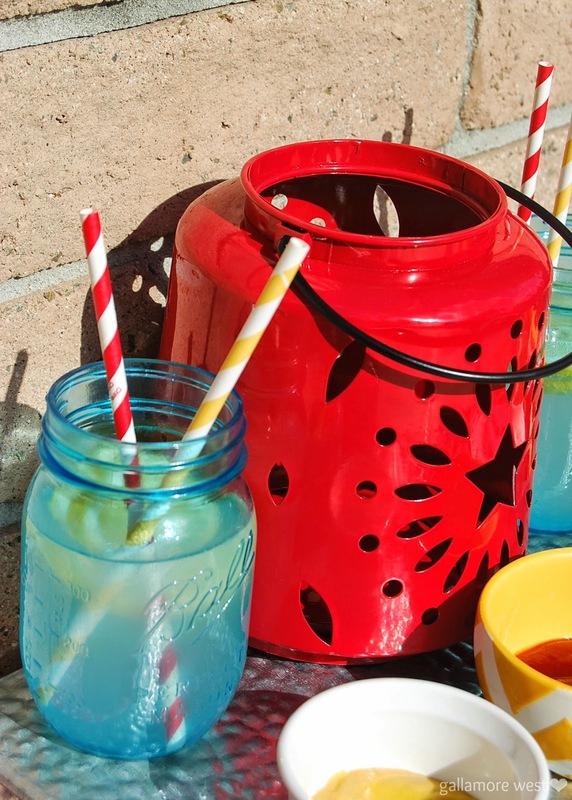 Adding a few special touches like our patriotic tablecloth, red star lantern, and serving our sparkling lemonade out of vintage blue mason jars is a super easy way to make dinner seem like a party. You are so cute. I wanna be you when I grow up. I love your table setup! That red lantern is so cute! Looks like so much fun! Great ideas!